I also very much liked two films about Iraq, especially My Country, My Country, and it won the Full Frame Inspiration Award for the film that "best exemplifies the value and relevance of world religions and spirituality"); Iraq in Fragments won the big Grand Jury Award. Now the bad news - the festival is over! Today we started with the second half or so of Time Piece, a commissioned work by the Full Frame Institute. Six U.S. and six Turkish filmmakers put together this collaborative effort, with each responsible for a short film on a particular time (early morning, morning, etc.) of the day. The last film on New York City food pushcarts and a film about an autistic child were my hilights. 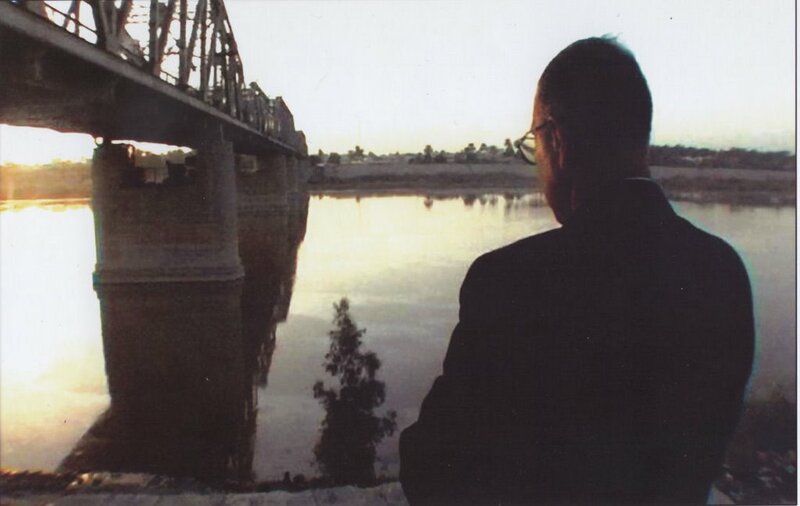 I enjoyed the tangible realism and perspective in My Country, My Country, about the 2005 elections in Iraq, the first since Saddam Hussein's overthrow. It focuses on a doctor in Baghdad who decides to run, and his feelings about the state of occupied Iraq. It was well shot and included home, doctor's office, street, and Abu Garaib settings. We saw Last Pullman Car, a film about the closing of the Pullman railcar factory. Interesting issues of labor vs. management were raised. In the afternoon after awards were announced, several of the winning films were shown. 26-minute long No Umbrella Election Day in the City won the Full Frame Jury Award for Best Short, and I am glad that I got to see it since I missed it on Friday morning. 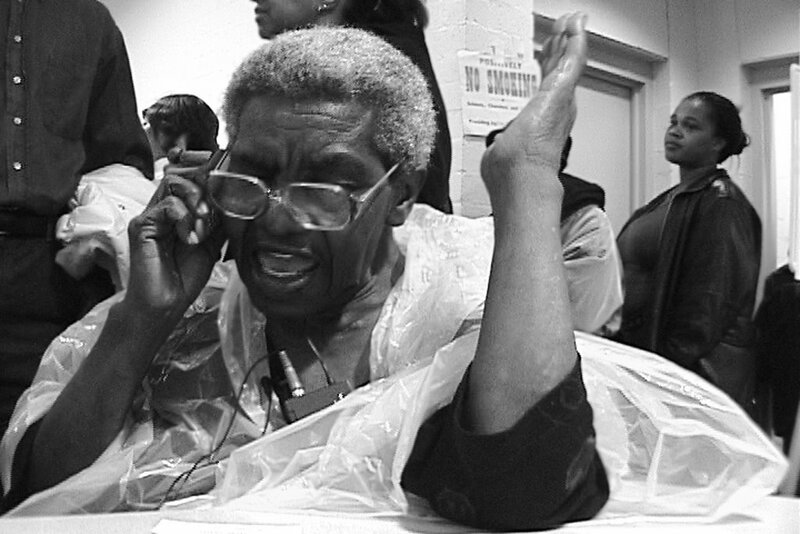 It portrays difficulties that an African-American precinct in Cleveland experienced on election day in November 2004. I didn't much enjoy Intimacy of Strangers, which won the Full Frame President's Award. It featured the private cell conversations of people in public places in London. I would have enjoyed talking with the filmmakers about how they were able to capture the audio from the phones and how they filmed unobtrusively. 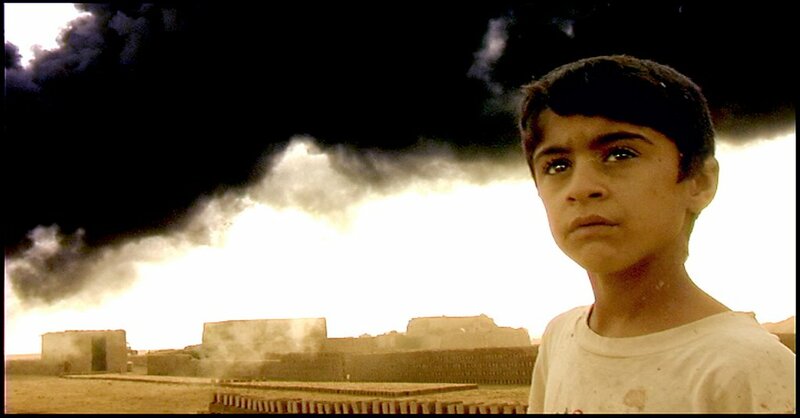 Finally, I ended the Festival with Iraq in Fragments, which I could not get into for lack of seats on Friday. It was a three-part film, the first featuring 11-year-old Sunni Muslim Mohammed Haithem in Baghdad who had failed first grade several times and was working as a mechanic for his uncle. In the second section focusing on Shia Muslims in their stronghold of Naseriyah south of Baghdad, remarkable footage is shot of a kidnapping. I enjoyed the third part the best about the Kurdish north, photographed in a visually poetic manner. Unlike those in the first two parts, the family of focus seemed to be happy with the U.S. intervention in Iraq. Other films that I would have enjoyed also seeing today include one about the New York Times crossworld puzzle, Wordplay. We missed all the Katrina films in the Festival, alas. We saw the first few minutes of Terry Sanford and the New South about legendary NC politician Terry Sanford, before we had to go to another film.